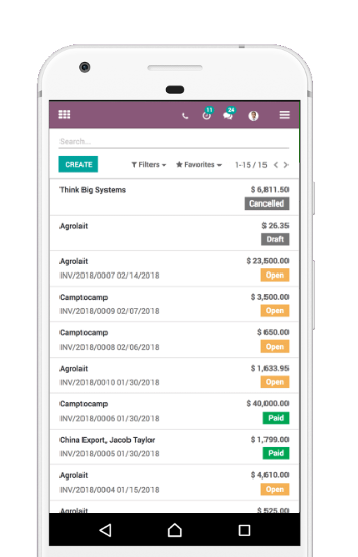 Create invoices with just a few clicks in seconds, send them to your customers. Get AccountOne on your computer, tablet, and phone, whenever you need it. True web based – your team and accountant work on real-time data. With high security and automatic daily backups, no extra workload needed. No experience necessary! All features are added all the time, so easy keeps getting easier.